Innovation is critical to people committed to keeping pace in an ever-changing landscape of urbanization, globalization, environmental stress, technology advances, and other disruptive innovation. 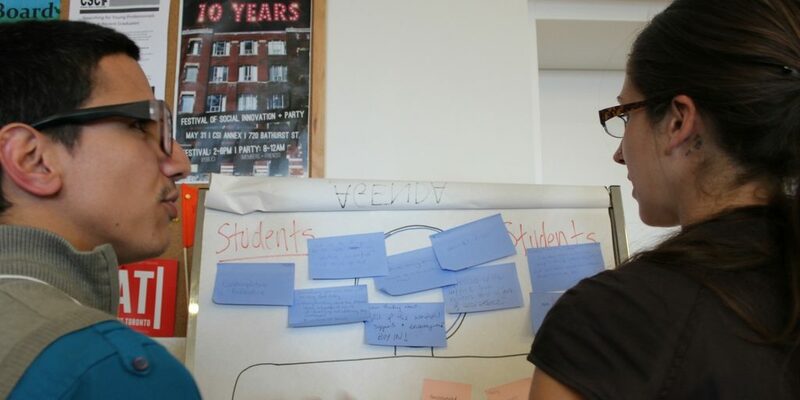 As a Summer School participant, you will build your toolkit of skills and knowledge to help you advance social innovation in whatever organization, community, or system you work in. Through the program, you will develop a network of experienced social intrapreneurs and entrepreneurs, subject matter experts, and committed change makers who will help you succeed. Develop “entrepreneurial” skills to be able to lead change initiatives. Develop 21st century skills that will help you thrive in today’s complex world. Better understand social entrepreneurship and social intrapreneurship. Explore your identity as a change maker. Build a support network of like-minded individuals. There is great value in learning from people who have walked the walk as change makers. We call those people “witnesses”. Our sessions include a mix of established practitioners and experts who can support the learning and development of our students. You will have a mentor to support you throughout the program, and for at least six months after the program ends. A staple of all SSE programs, students will participate in virtual Action Learning sessions by video conference. Action Learning is a very powerful, peer coaching approach to problem solving that is used extensively in the UK and US, and is starting to gain momentum in Canada. Fellows consistently say that this unique coaching approach is one of the most valuable parts of SSE programs. Using webinars, we will open access to a much wider range of leading “witnesses” and experts from across the globe. Throughout the program we will provide students with practical tool kits, contacts, and other resources to support their learning.